The Munich Summer Institute is a newly established annual conference aimed at stimulating a rigorous in-depth discussion of cutting-edge research and establishing a focal point for the interdisciplinary international research community in the broader field of innovation. 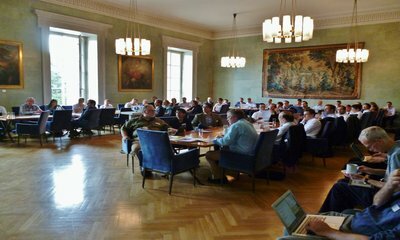 The first annual conference took place from June 20-22, 2016 in the historic building of the Bavarian Academy of Sciences and Humanities. The Institute for Strategy, Technology and Organization at Ludwig-Maximilians-University (LMU) Munich, the Max-Planck-Institute for Innovation and Competition (MPI-IC) and the Center for Law & Economics at ETH Zurich co-hosted the conference. All participants enjoyed three inspiring days filled with vivid discussions along with an entertaining framework program. The Munich Summer Institute 2016 was a resounding success and we look forward to the next conference, scheduled to take place May 29-31, 2017.